This is a rendition of a post found in offbeatearth.com, I have animated those pictures using the lolcat animator, clipmann.com. I guess its been a while since i did a wordpress.com fanboy post! I wanted to rearrange the widgets for mozey.wordpress.com. 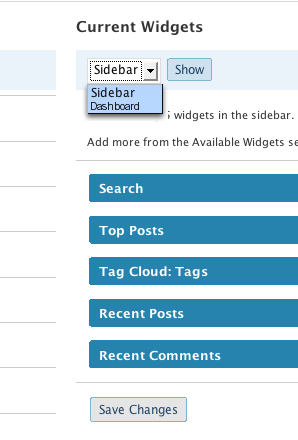 Then i saw a little drop down menu that has only one option, “sidebar”. Customizing the dashboard was promised, and believe coming very soon. It will look something like his. Soooooooooooo yeahh!, when is wordpress.com gonna get synced with 2.5? I have had an interesting experience with digg.com just earlier on today. What a perfect time, i was hoping for material to blog about. In short, i believe that i found a little technical thingy that they can improve on. Notice the five at the end of the URL. The reason why this _5 was there is because there was probably other entries titled “bad santa”. In which case, digg HAS to make sure that the URL of this entry is unique. So they will tag some kind of a number after in order to make it unique. So, the next question i had was, what was bad_Santa_4? Good question, NOTHING, it was NOTHING. I got 404, so was bad_santa_3. For bad_Santa_2 however, i got this video. Kind of funny, but when the video was over!, i was directed to the “reverse funnel system“! PLEASE!, consider VERY carefully before proceeding. BACK TO THE TOPIC!, I was wondering if they SHOULD check for unused sequential numbers or not. But you know what!, they are doing it the right waY!. I thought i was on my way for an optimization tip, but i got nothing!. Okay, first of all. Like many, my favorite blog on wordpress.com is icanhascheezburger.com. WICKED, LOVE IT LOVE IT LOVE. But if you notice, right on the header of this blog, there exist adsense!. I thought we cant use adsense on a wordpress.com hosted blog!. What gives? does wordpress allow adsense only on higher profile blogs?, if so, how is that defined? Can someone please shed some light on this.